Major principle of this report is to analysis The Role of Human Resource Management in Corporate Social Responsibility, here focus on Square Pharma. Report focus on how Corporate Social Responsibility trend and expectations forced specific HRM changes, developments, and HRM influences through internal corporate stakeholders, employees the corporate social responsibility, sustainability performance of a company. Main observation is relationship between Employee Motivation and Internal Corporate Social Responsibility activities. Broad Objectives: The broad objective of the report was to look on Human Resource Management (HRM) through the framework of Corporate Social Responsibility (CSR). How CSR trend and expectations forced specific HRM changes, developments, and HRM influences through internal corporate stakeholders, employees the corporate social responsibility, sustainability performance of a company. Discussing different important parts and views of CSR we often mention the important formula CSR‐HR=PR while indicating a key role for human resource management, and indirectly to employees themselves. Internal CSR activities have helped HRM activities like motivation, retention, loyalty and recruitment Gather information on the internal CSR activities of Square Pharmaceuticals Ltd. Considering the HRM practices from their CSR perspective How SPL intend to integrate CSR and HRM; and to which level they are successful. Secondary Research: Secondary Research has been performed by undertaking various literature reviews and internet- based research to gather information about the background and history of Square Pharmaceuticals operations. Furthermore, secondary research in terms of various journal and literature review and related web research has also been undertaken to gather relevant information regarding the issue of CSR and HRM about Square Pharmaceuticals Ltd.
Questionnaire method: This report is extensively based on extensive primary research in terms of conducting surveys on different activities of HR and the effects on internal CSR activities. The survey has helped me to understand about various HR activities like motivation, retention, recruitment and loyalty in contrast with internal CSR activities of Square Pharmaceuticals. And also helped to understand the employees position about the integration of CSR and HRM. Interview method: While collecting information, I have taken the interview of some officials of SPL and individual employees of Square Pharma. Thereof the the present section relates to findings or results and analysis or discussion thereof presented in the following sub-sections: Integration of CSR and HRM. From the frequency table we see that 46% percent respondents highly agreed that their company’s internal CSR activities have helped HRM activities like motivation, retention, loyalty and recruitment, another 42% respondents agreed with this statement. 8% respondents are neutral about this statement and 4% disagree the statement. From the frequency table we see that 42% respondents agreed that their company do consider the HRM practices from their CSR perspective, another 22% respondents highly agreed with this statement. 20% respondents are neutral about this statement and 16% disagree the statement. From the frequency table we see that 50% respondents agreed that their company has successfully used HRM to promote CSR, another 24% respondents highly agreed with this statement. 14% respondents are neutral about this statement and 12% disagree the statement. From the frequency table we see that 40% respondents highly agreed that the role/influence of HRM on the CSR policy of the company is significant, another 28% respondents agreed with this statement. 24% respondents are neutral about this statement and 8% disagree the statement. a. Predictors: (Constant), Increasing Corporate Image & Branding allows a company to enhance employee morale., Our staffs are motivated and proud to work at our company., “Shohoj Kisti Reen Prokalpa” helps to motivate the employees., CSR activities directed towards women employees help to has increased their moral significantly. In this case we can say that internal CSR activities have helped to influence the employee motivation. In this case we can say that the company do consider employee motivation from their CSR perspective. In this case we can say that the company do consider employee retention from their CSR perspective. In this case we can say that the company do consider recruitment from their CSR perspective. In this case we can say that the company successfully used employee motivation to promote CSR. In this case we can say that the company successfully used recruitment to promote CSR. Our staffs are motivated and proud to work at our company. “Shohoj Kisti Reen Prokalpa” helps to motivate the employees. CSR activities directed towards women employees help to has increased their moral significantly. Increasing Corporate Image & Branding allows a company to enhance employee morale. a. 0 cells (.0%) have expected frequencies less than 5. The minimum expected cell frequency is 16.7.
b. 0 cells (.0%) have expected frequencies less than 5. The minimum expected cell frequency is 10.0.
c. 0 cells (.0%) have expected frequencies less than 5. The minimum expected cell frequency is 12.5. From the analysis we see that all the sig or probability of F is less than .05. Which means it is significant. So we reject the null hypothesis. H1 is proven true which implies that there is association between Employee motivation and Internal CSR activities. a. 0 cells (.0%) have expected frequencies less than 5. The minimum expected cell frequency is 12.5.
b. 0 cells (.0%) have expected frequencies less than 5. The minimum expected cell frequency is 16.7.
b. 0 cells (.0%) have expected frequencies less than 5. The minimum expected cell frequency is 12.5.
c. 0 cells (.0%) have expected frequencies less than 5. The minimum expected cell frequency is 10.0. From the analysis we see that all the sig or probability of F is less than .05. Which means it is significant. So we reject the null hypothesis. H1 is proven true which implies that there is association between Recruitment and Internal CSR activities. From the analysis we see that MSG ÷ MSW is 5.036 and the F ratio is 5.034 which is not equal. So we reject the null hypothesis. H1 is proven true which implies that the population means of Internal CSR activities have helped HRM activities like motivation, retention, loyalty and recruitment and CSR activities directed towards women employees help to has increased their moral significantly are equal. In this case we can say that internal CSR activities have helped to influence the moral of woman employees. From the analysis we see that MSG ÷ MSW is 3.906 and the F ratio is 5.904 which is not equal. So we reject the null hypothesis. H1 is proven true which implies that the population means of The company do consider the HRM practices from their CSR perspective and CSR activities directed towards women employees help to has increased their moral significantly are equal. From the analysis we see that MSG ÷ MSW is 3.286 and the F ratio is 3.285 which is not equal. So we reject the null hypothesis. H1 is proven true which implies that the population means of The company successfully used HRM to promote CSR and CSR activities directed towards women employees help to has increased their moral significantly are equal. a. 10 cells (83.3%) have expected count less than 5. The minimum expected count is .24. We can see from the Crosstabs that 40 % respondents highly agree that Internal CSR activities have helped HRM activities like motivation, retention, loyalty and recruitment. 28% respondents think that Our staffs are motivated and proud to work at our company. Chi-Square (degree of freedom) = value, p=? Moreover, in this test, Cramer’s value is 0.368 and the corresponding significance level is 0.035. From the Cramer’s value we can say that the relationship between the two variables is strong. And, significance level less than 0.05 indicate that this finding is significant. From the Bar Chart that we have got from the crosstabs analysis; we can see that the tallest bar is highly agree and agree respectively. So, it seems that that most of the respondents agree that internal CSR activities has helped the HRM activies and also has motivated the staffs to work in this company. From the frequency table we have found that most of the respondents highly agree or agree that internal CSR activities have helped HRM activities like motivation, retention, loyalty and recruitment. They also thinks strongly that the company do consider the HRM practices from their CSR perspective and successfully used HRM to promote CSR. The respondents also agrees about the role/influence of HRM on the CSR policy of the company is significant. 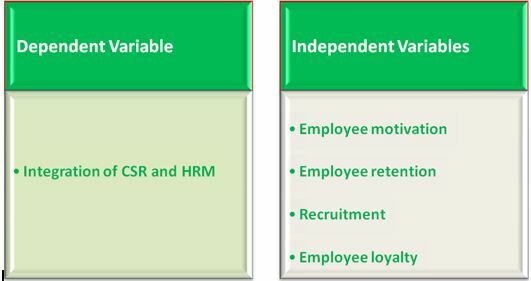 From the regression analysis we have found that that internal CSR activities have helped to influence the employee motivation and employee retention. We have also found that the company do consider employee motivation, retention and recruitment from their CSR perspective. The company successfully used employee motivation and recruitment to promote CSR. We can say from the results that the company successfully used recruitment to promote CSR, and most of the respondents agree that internal CSR activities has helped the HRM activities and also has motivated the staffs to work in this company. Recommendations of these report has been made on the basis of the research findings of the Role of Human Resource Department in Corporate Social Responsibility. It is very difficult to recommend about this topic because of research restrictions and unavailability of data. I have tried to give recommendation based on my personal experience in the company and the findings. Developing a formal policy on sustainable practices: The HR department should take the responsibility to develop a formal policy on sustainable practices involving employees. For example, Square can use employee volunteering as a vehicle to achieve business-driven culture. The success of the initiative will lead to the development of a formal policy on employee volunteering. The initiative can be a big success improving the employee retention levels and employee satisfaction. The orientation program of newly recruited candidates: The orientation program of newly recruited candidates should be designed in a manner that corporate philosophy about CSR gets highlighted. The commitment of top management towards CSR is very important which should be expressed in tangible terms to reinforce the right kind of behavior in the organization. Corporate presentations, keeping employees updated through mails, regular newsletters are the instruments used to keep employees energized about the organization’s socially responsible initiatives. Designing of Performance Management System to measures the socially responsible initiatives: The designing of Performance Management System should be done in such a manner that it measures the socially responsible initiatives taken by employees. This becomes important as the internalization of CSR in an organizational culture requires that appropriate behaviors get appraised, appreciated as well as rewarded. Otherwise, the organization might fail to inculcate it amongst all employees due to lack of positive reinforcement. Training facilities to instill the CSR culture: The Training facilities may also be made available to instill the CSR culture among employees. This becomes necessary to make employees learn and practice CSR activities. Empowerment of managers by giving them decision-making authority: Empowerment of managers by giving them decision-making authority shall help in executing social responsibility at local level. 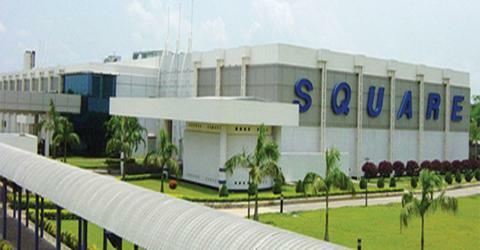 It becomes important when an organization like Square with plants or units at multiple locations around the country operate. Armed with decision making authority, the managers will be able to appreciate and assess the needs. Therefore, the employees may be appropriately authorized to encourage initiative in the area of social responsibility. Clear reporting and review mechanisms may be put in place in the organization which shall improve the focus and effectiveness of CSR. Code of ethics: Code of ethics of an organization can stimulate social responsibility to a great extent reinforcing amongst its employees the underlying values. Training on code of ethics should be undertaken by the organization. The HR department of Square Pharmaceuticals can also develop an e-learning course for its employees built CSR Competency framework. Give credibility to the CSR initiatives of the organization: Responsible Human Resource Management practices on equal opportunities, diversity management, whistle blowing, redundancy, human rights, harassment shall give credibility to the CSR initiatives of the organization. It is beyond doubt that protecting human rights such as denial or prevention of legal or social rights of workers is a very important issue under CSR. Square should have framed whistle blowing policy, providing protection to the employees who come to know about any unethical practice going on within the organization, covering a whole gamut of subjects and showing their positive approach towards unethical practices. The separation of employees should be strategically aligned with the business strategy as well as CSR: The separation of employees during mergers, acquisitions, downsizing etc. should be strategically aligned with the business strategy as well as Corporate Social responsibility. Retraining, retention, redeployment of people can be worked out with aggressive communication, information campaigns and outplacement services in place to assist the transition of people from the organization. Commitment to social or sustainable practices: Social Reports or Sustainability Reports should be prepared to underline the organization’s commitment to social or sustainable practices. Effectively measure and evaluate CSR activities: The Human Resource department should effectively measure and evaluate CSR activities. The value added by CSR in the form of direct results, such as, economic savings and indirect results like increase in employee satisfaction, less employee turnover, measured by staff attitude surveys, shall indicate contribution to improved business performance. There is also a need to conduct periodic review of the CSR activities. Successful programs on social responsibility rely heavily on enlightened people management practices. In this context HR department is assumed to be the coordinator of CSR activities in getting the employment relationship right which is a precondition for establishing effective relationships with external stakeholders and thus can orient the employees and the organization towards a socially responsible character. There is also an increasing trend in the corporate sector which has started leveraging upon employees and their management for exhibiting their commitment towards CSR. Armed with a strong and committed organizational culture reinforced by responsible Human Resource Management practices, the organizations can achieve heights of success by improved profitability, employee morale, customer satisfaction, legal compliance and societal approval for its existence. It is high time for all other organizations which have been paying only lip service to CSR that they must capitalize upon the existing Human Resource Department in framing such practices, procedures and policies that ensure the internalization of quality, ethics and excellence in the whole system. By doing this they can sensitize the employees and the whole organization towards CSR without adding any additional cost.